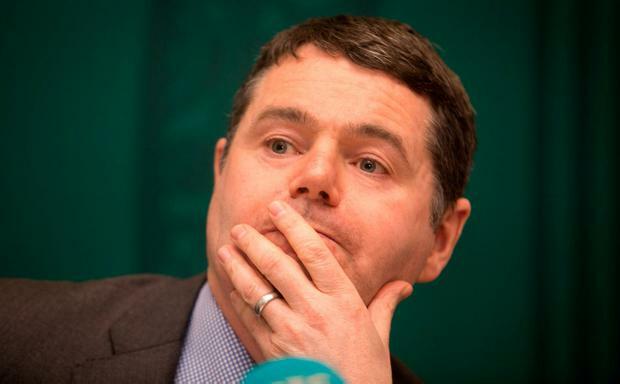 Finance Minister Paschal Donohoe's long-term spending plans "lack credibility" and "look unrealistic", the head of the country's budgetary watchdog will warn today. Amid new figures showing bumper corporation tax receipts for November, the Irish Fiscal Advisory Council (IFAC) will caution that the economy is "close to its potential". IFAC chairman Seamus Coffey will say today that central forecasts suggest growth will "move beyond potential from 2019 onwards, with overheating emerging in later years". He will add that while efforts to stabilise the public finances since the crisis have proved successful, "improvements on the budgetary front have stalled since 2015". Warning of the dangers ahead, Mr Coffey will tell the Oireachtas Budget Oversight Committee that recent revenue growth has been supported by "short-term cyclical developments and a possibly transient surge in corporation tax receipts". Exchequer returns released last night showed the corporation tax take in November was €470m ahead of target. Department of Finance figures show overall taxation receipts last month were €938m higher than in the same month last year. November is the month when most businesses pay their tax, making it a key point for budget arithmetic. Mr Donohoe has decided to use a chunk of the additional income to fund an overrun, especially at the Department of Health. Shortly before announcing Budget 2019, the Government decided to increase spending for this year by €1.1bn beyond what was envisaged just four months earlier. Mr Coffey will say that while some variation from targets is inevitable, they should be funded through sustainable tax increases or reallocating of existing monies. "The council assesses that the within-year spending increases this year are not consistent with prudent budgetary management," he will say. "The repeated failures to prevent unplanned spending increases have resulted in long-lasting increases in spending which are difficult to reverse. These failures represent a repeat of the policy mistakes of the past." Mr Coffey will also warn that predicting the economy's performance in the years ahead will be very difficult. Firstly, he cautioned that "overheating pressures could build up if a faster-than-expected pick-up in housing construction materialises". "On the other hand, Brexit could be more costly than assumed." Mr Coffey's statement, seen by the Irish Independent, says there are also "risks posed by the concentration of Ireland's exporting sector in a handful of specialised areas, the global rise in protectionism, and possible future changes in the international tax environment". Mr Donohoe has defended his budgetary policies saying he has acknowledged some of the increase in corporate tax receipts this year is due to one-off factors. "For next year, my department has taken account of this and has projected a decline in corporation tax receipts for 2019; expenditure plans have been set on this basis," he said. The increase in corporation tax paid this year is due in part to one-off changes in global tax practice that mean around €700m of extra tax will be paid.